This luxury resort welcomes you among 300 lavish rooms, magnificent villas on the hillside and as a bonus, an individual mansion. We always believe we have achieved perfection, had the most beautiful trip of our lives, slept in the nicest hotels… Fortunately, there are hoteliers that push the boundaries of beauty every day, and that is the case with Daios Cove. Let’s begin by visiting their Cretan sanctuary, the absolute must: the Mansion! 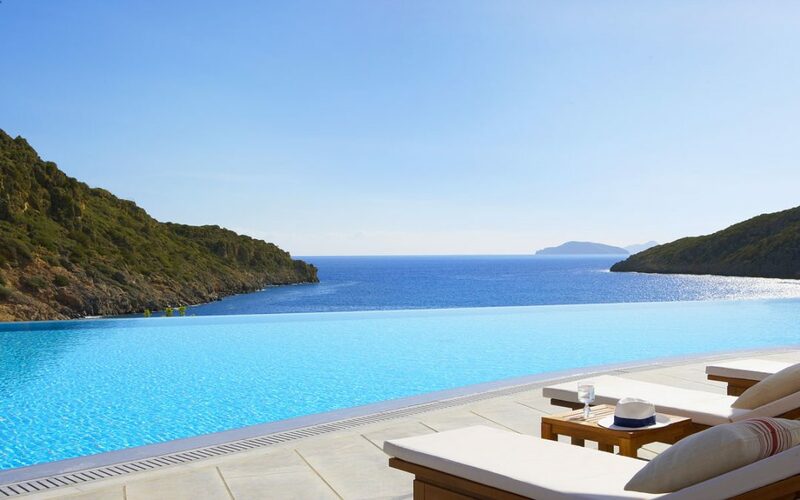 It overlooks a cove, the height of intimacy, and offers you a panoramic view of the sea of Crete. Welcome to “your home” and its 600 m2 on three floors, its 250 m2 of terrace, 3 bedrooms, its reception area and its space for gala dinners… Of course, you get a personal spa, your heated pool, the “Vision di Starpool” sauna, the steam bath with a view of the Bay of Mirabello, a private concierge, a sports coach and a chef, that goes without saying! After the must of musts here… is the must! The majestic villas of 95 m2 to 130 m2: private heated pools in each villa, solarium, home gym facilities and of course, sea view! For couples as well as for families, you will enjoy all of the services of the private concierge. At the hotel, the 300 spacious rooms and the suites are well worth the visit, benefiting from top quality services: a private 24/24 chef to design your gourmet menus, a personal coach to help you recuperate from the frenetic Paris lifestyle and of course, the concierge ready to answer to all of your desires. You got it, Daios Cove is a gem in a dream setting: sumptuous sites to visit, such as the plateau of Lassithi, also known under the name of “the Valley of the 10,000 Mills”, or the cave of Diktaion Antron, the place where the God of Olympus, Zeus himself grew up! Or, another option, a stroll on the charming little port of Agios Nikolaos. But you can also choose to spend your days at the Daios Cove, in front of the sea, enjoying the 6 restaurants including 3 gourmet, diving in crystal clear water, yoga and fitness, private beach… You can be sure, the Daios will be one of your best souvenirs. To discover: the new upmarket concept Residents Club-All Inclusive, reserved for the suites and villas only (April, May, June, September and October graciously offered, July and August with a supplement charge).